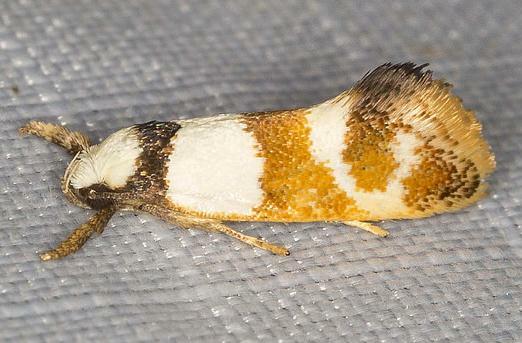 The adult moth has white forewings, each with a black band at the base, a gold band across the middle, and black and brown markings on the margin. The hindwings are pale brown fading to white at the bases. The wingspan is about 2 cms. CSIRO Publishing, Melbourne 1994, p.70. Volume 41 (1917), p. 66.